I so often get caught up in my hopes and dreams for the future that I discount the beauty of the present moment right in front of me. I spent my whole life dreaming of a future that I believe will somehow be better and, in the process, miss out on life altogether as it flows by completely unnoticed. 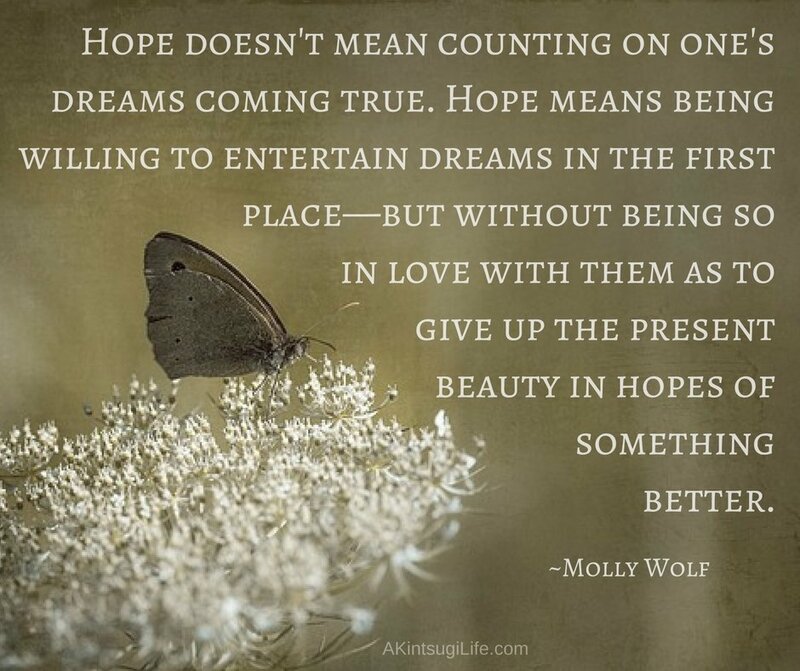 Learning to hold on to the present beauty and live every moment as fully as possible while still entertaining dreams of what is possible is much truer to what hope really is. How well are you walking this balance between entertaining dreams and staying present?